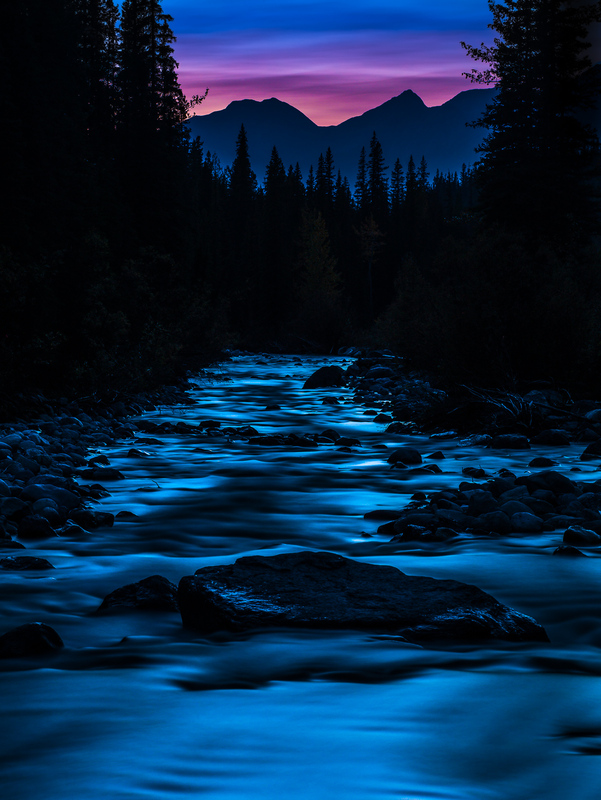 Along the Maligne River this scene unfolded itself during the last light color of the sunset. Tripod setup on top of a larger boulder in the middle of the river and with a smile on my face. Photo © copyright by Lance B. Carter.